When you think of Ibiza, immediately you think of the beautiful sunny beaches and of course the best nightlife and party scene that Europe has to offer! Although as surprising as it may be, Ibiza is also the perfect holiday destination for the entire family…little ones included! With an island as truly stunning as Ibiza there are plenty of fun and family-friendly things to do! Whether it’s exploring hidden coves and endless beaches, go-karting and watersports or even having a mosey at the local Hippie Market. You’ll be spoilt for choice with exciting activities suitable for all ages and to point you in the right direction here’s our very own guide on how to make the most of your family holiday! Now this isn’t just your typical aquarium! Come and check out brightly coloured fish, octopus, rays and all other types of marine creatures in their natural underwater habitat in an eerie underground cave which was once an ancient Smuggler’s grotto! !Fun Fact! Also known as ‘Lobster Cave’ it was used by fishermen as a vast storage tank for lobsters before going to market but nowadays it’s also used as a recuperation centre for injured sea turtles before they are released back into the wild! Acrobosc Ibiza is a great outdoor adventure park that cover all ages. Located amongst pine trees just 100m from the Cala Pada beach you’ll find three circuits to follow, according to your height and age, putting your balance and skills to challenge. Thirty-nine platforms between 2 and 6m high, 49 obstacles and 20 zip lines from 4 to 65m length and trampolines!! This will guarantee you at least 2 hours of adrenaline fused fun! A wet and wild addition to Ibiza is it’s very first inflatable water wipe out park situated just 50 metres out at sea directly opposite O Beach Ibiza in San Antonio. Get ready for obstacles of balancing beams, catapults, rope swings and high dives as well as slides and trampolines to keep everyone amused and entertained. Ocean Mania offers fun daytime entertainment for both children and adults. Slide into a world of fun at the Sirenis Aquagames water park at the Sirenis Seaview Country Club, located just a little west of San Antonio. This unique water park is full of incredible rides and attractions including a children’s area for 4-10 year olds with a themed ‘Caribbean Pirates’ water slides and splash barrels as well as a swimming pool for 2-4 year olds! You’re guaranteed to have unreal amounts of fun at Air Zone Ibiza, the very first inflatable orbs park located directly behind O Beach Ibiza. Think excitement, think no limits and think boundaries broken, all mixed in with one huge dose of immense fun! Budding Formula 1 fanatics and boy racers alike can emulate Lewis Hamilton in Ibiza. Just outside the town, Karting San Antonio caters for kids from 4 years+, adults and groups. Open day and night throughout the summer Karting San Antonio guarantees thrills and no spills using Standard Protex Karting, preventing body impact in lateral crashes, a free helmet and night lights all starting from 10€! Have you heard about Ibiza’s famous Hippy Market? It’s one of the island top attractions and a must-see for every holidaymaker. From Las Dalias to San Joan theres plenty of hippy markets all across the island so wherever you stay you can enjoy a fabulous shopping experience. !Top Tip! The biggest markets are the Punta Arabí Hippy Market on Wednesday in Es Caná and the Las Dalias Hippy Market on Saturday in San Carlos. The Can Marçà Cave over on the north side of the island represents one of the most visited tourist attractions. The cave offers a 40-minute walk through stalactites, stalagmites, waterfalls and small lakes, and is located on the cliffs of Port de Sant Miguel. !Fun Fact! It was originally discovered by local smugglers, who accessed it through an opening just 10 meters above sea level. From their boats they would hoist their merchandise and hide it in the interior until it was safe. Since the 70’s a family have owned it conditioned it recovering the waterfalls and streams that existed in the cave in remote times and creating a singular spectacle of light, water and sound. 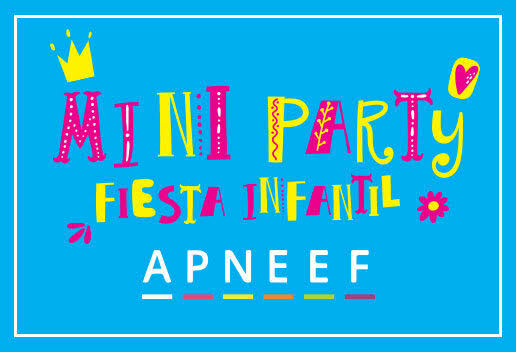 O Beach Ibiza’s Mini Fiesta! O Beach Ibiza will open it’s doors to the littles ones for one day this Summer! hosting a mini party with loads of fun activities such as a treasure hunt, arts & crafts, delicious family friendly cooking workshops and much more. Raising money for APNEEFF (the Association of Children with Special needs of Ibiza and Formentera), there will be a discretionary 3€ ticket. Do not miss our fantastic raffle, get ready to win wonderful prizes & enjoy our special lunch at this one of a kind event!